ProofreadingPal Review: Is Proofreading for ProofreadingPal a Scam? ProofreadingPal offers proofreading and editing services for all kinds of documents. Their editors typically earn between $500 to $3,000 per month. In this review, I will reveal how you can make that kind of money! ProofreadingPal has some strict requirements; you might be more interested in how to find high paying proofreading work for yourself. If so, make sure to check out the course at Proofread Anywhere. You can sign up for their free webinar to learn about how it all works and what you’ll get out of the course. If you meet the qualifications listed here, they want you to fill out a short questionnaire. You will hear from a ProofreadingPal representative within 5 to 10 business days to continue the hiring process, which includes a comprehensive, timed exam. How many years experience do you have with freelance proofreading? How many years professional proofreading and editing experience do you have? Do you own a Merriam-Webster’s Collegiate Dictionary? If not, which dictionaries do you use, either hard copy or online? How would you grade your proficiency with the following writing styles: MLA, APA, AP, CSE? What writing style manuals you are currently using? And what editions? How familiar are you with the Chicago Manual of Style? What edition of the Chicago Manual of Style do you currently own? Do you have Microsoft Word 2007 or newer? How would you rate your familiarity with the Track Changes function of Microsoft Word? Do you have Adobe Professional or Foxit Phantom software? What kind of hourly pay would you expect for a solid hour of proofreading? Are your hourly pay expectations negotiable? What hours of the day in US Central Standard Time do you plan to work on a daily basis? They want to know your estimated schedule so they can determine if your availability meets the needs of their clients. They give you 2000 characters to answer this question, so if you want to convey maximum availability, I think you could do that. How Much Does ProofreadingPal Pay? ProofreadingPal says they pay $12-$15 per hour for editors who are new. After 6 months, you will have the potential to earn up to $18-$22 per hour. ProofreadingPal pays their contractors monthly by either direct deposit, live check, or via PayPal. ProofreadingPal’s live customer service hours are every day from 8 AM to 10 PM Central Time. But orders can be placed online, and it is possible that you can work at whatever time is best for your schedule, as long as you are meeting your deadlines. ProofreadingPal offers turn-around times from 30 minutes up to 7 days. For short turn-around orders that are placed after regular hours, they charge their customers an overnight surcharge. In busier months, they want a minimum of 8 to 12 hours worked per month. In slower months, the requirement is only 4 hours per month. As of right now, January is the only slow month. They also have minimum volume requirements. The volume requirements are based on how long you’ve been working for them. They claim these requirements are easy to meet. According to reviews on Glassdoor, ProofreadingPal is flexible with hours, and you can choose which projects you accept. Bonuses are available for higher volume work. It was said that pay is not great unless you’re working at higher volumes and making bonuses. Contractors are paid by the word, so if it takes you longer to complete a job, you’re basically getting paid less per hour. Often there isn’t enough work to go around during slower seasons. The general feedback is that it’s a great opportunity for freelance proofreaders. Is Working at ProofreadingPal a Scam? Based on my research, proofreading and editing for ProofreadingPal is NOT a scam! Although the requirements are quite steep, if you already have experience in this field, this sounds like a legit work at home option to look into. You can learn more or apply at ProofreadingPal.com. Proofreading is a great way to make an extra side income online, but a lot of us won’t be able to meet the requirements at ProofreadingPal. 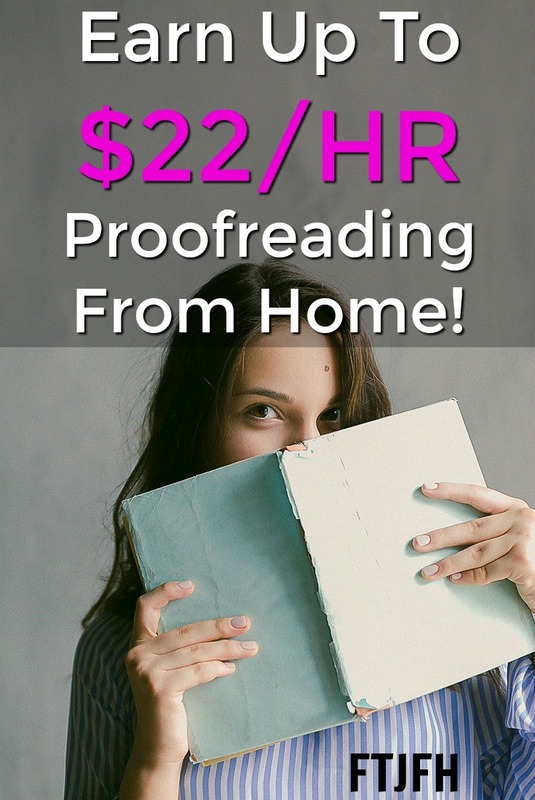 Make sure to check out the course Proofread Anywhere; it will show you how to start your own online proofreading business and make much more!